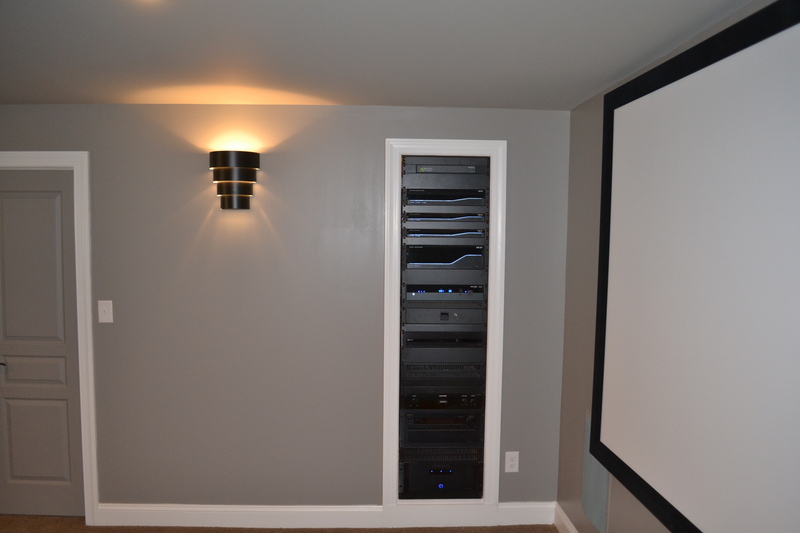 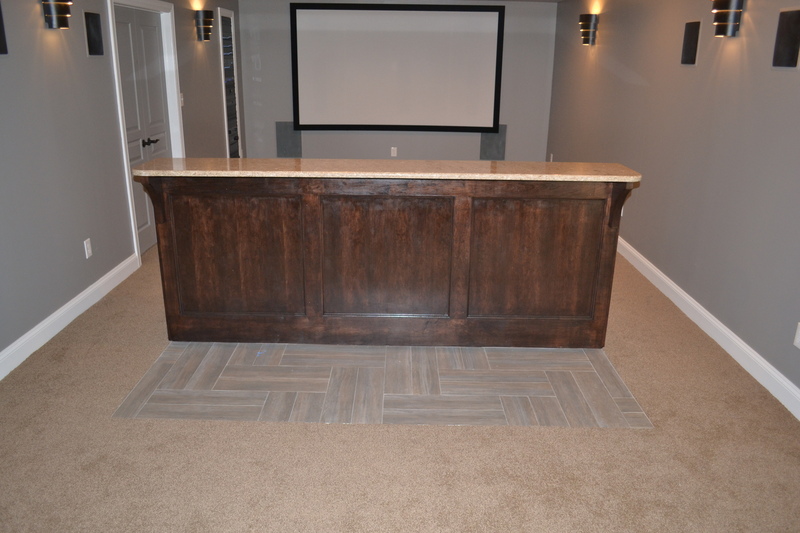 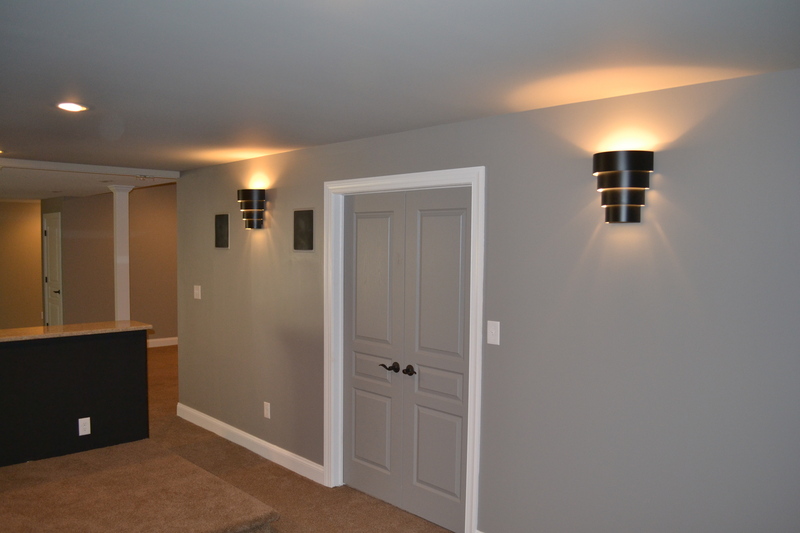 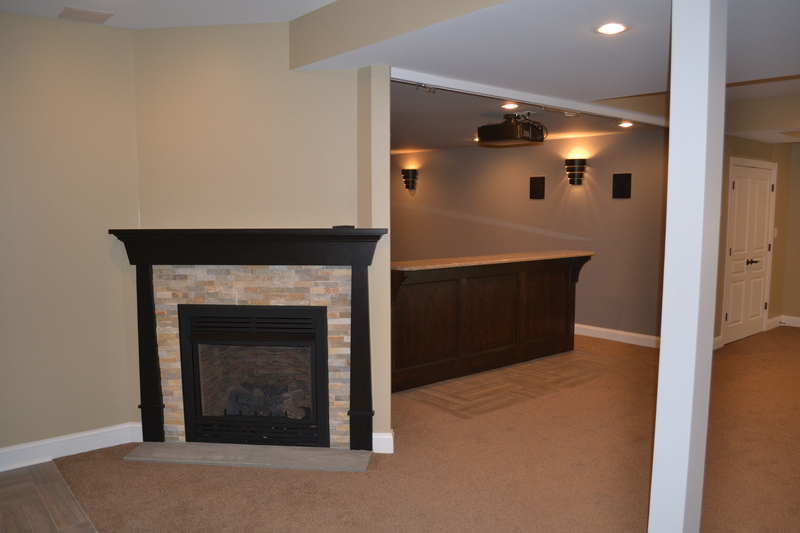 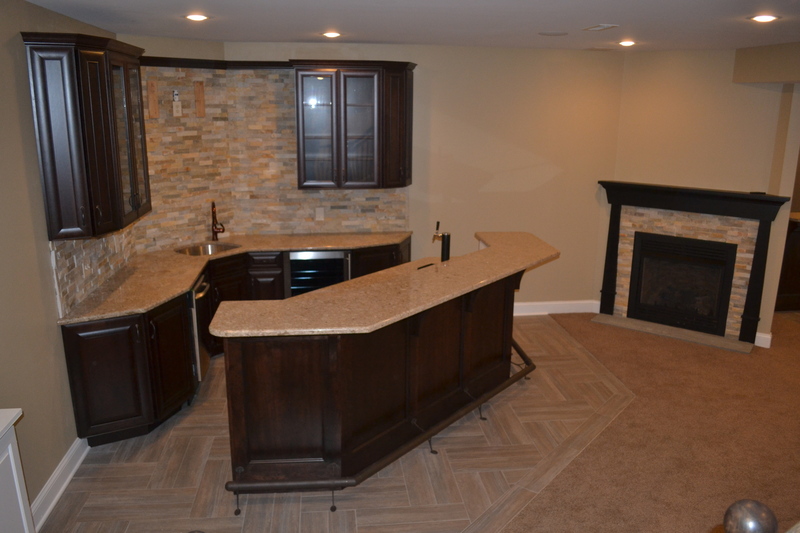 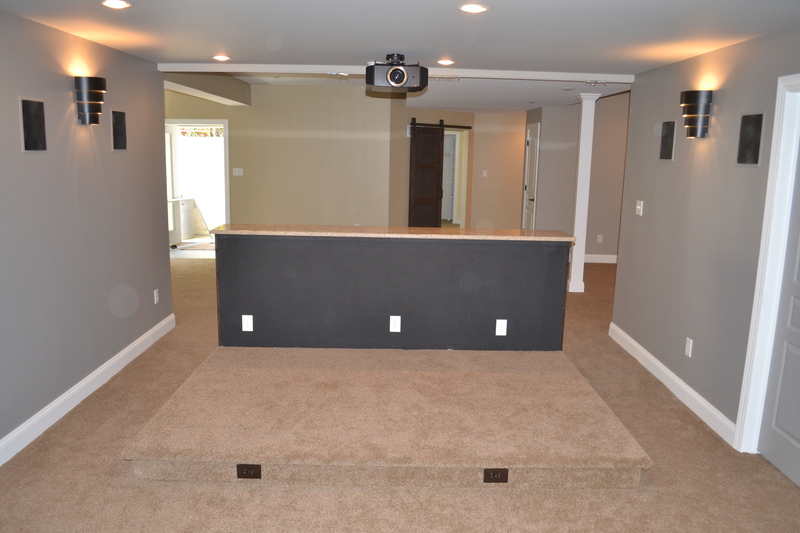 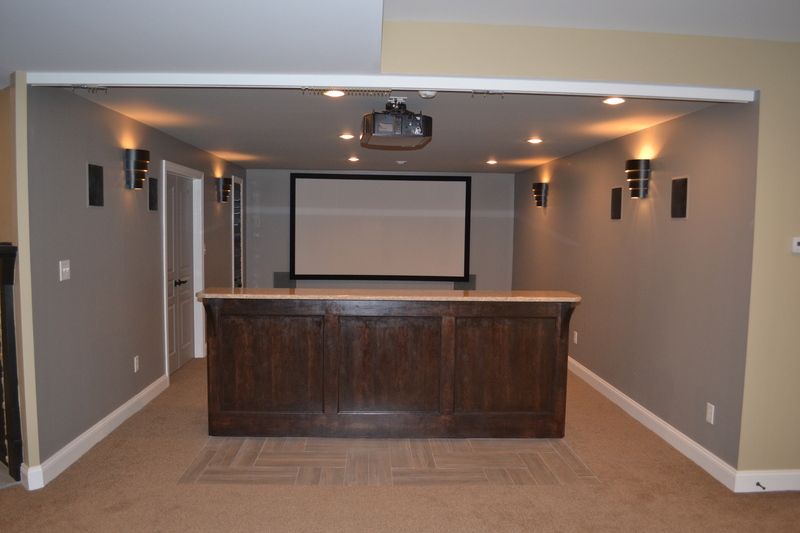 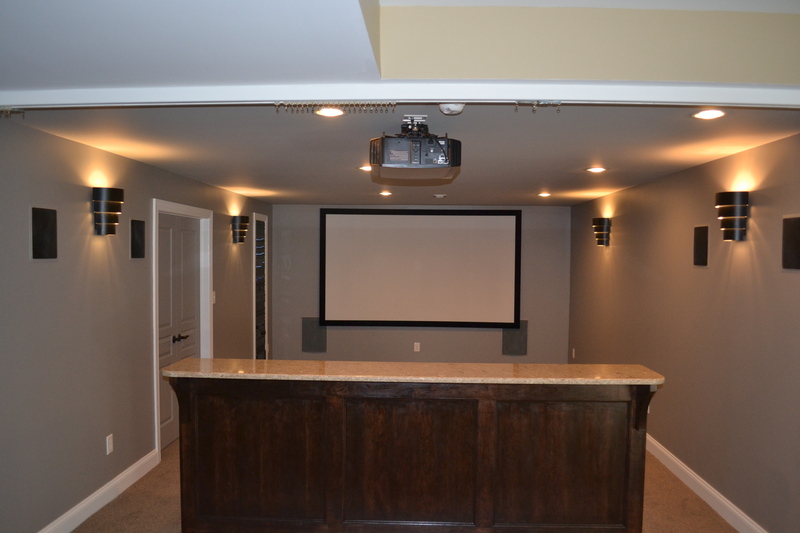 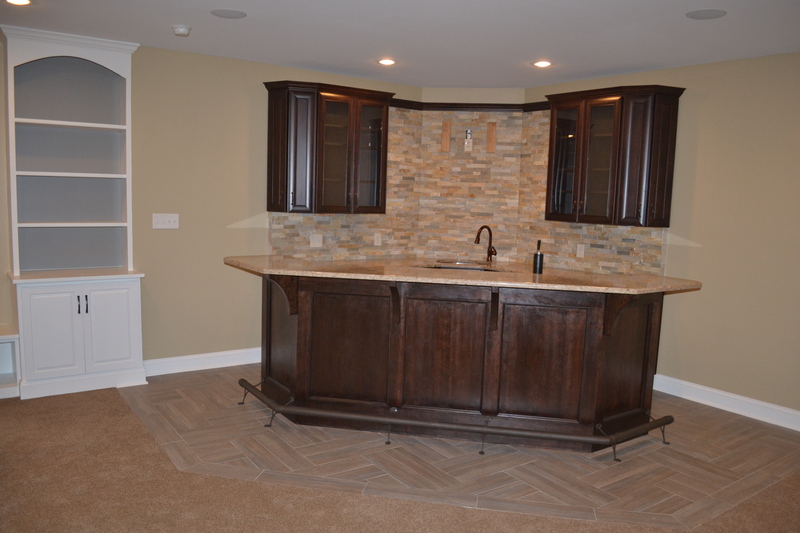 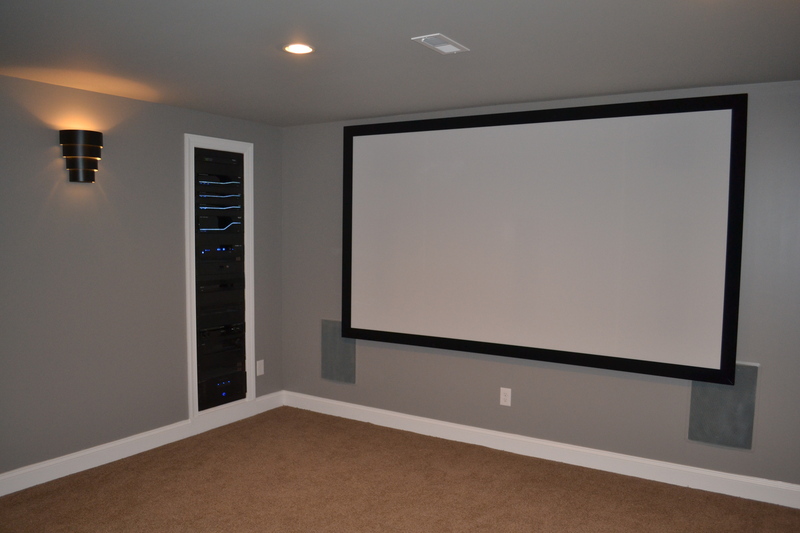 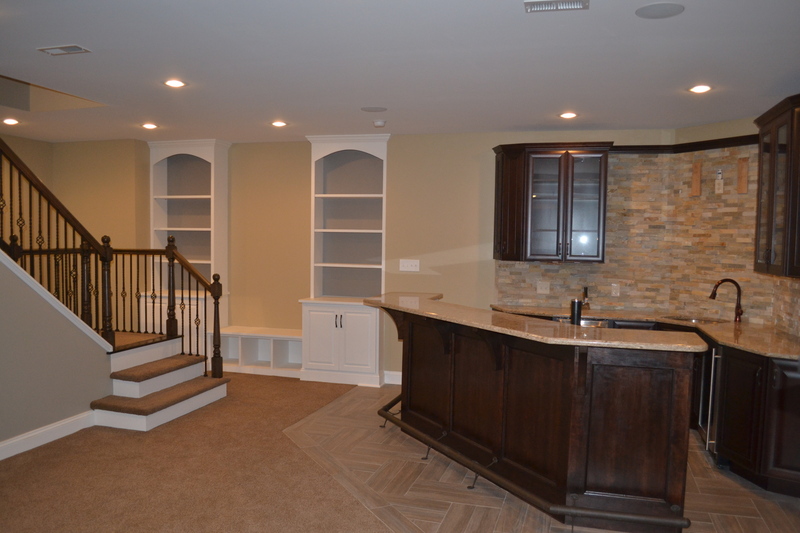 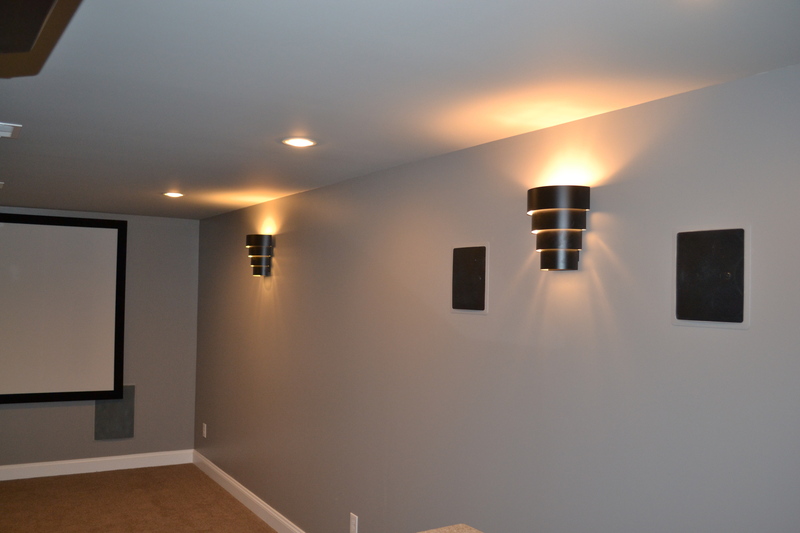 Our client wanted to transform their basement into a home theater for watching movies and an entertainment center with a bar and fireplace. 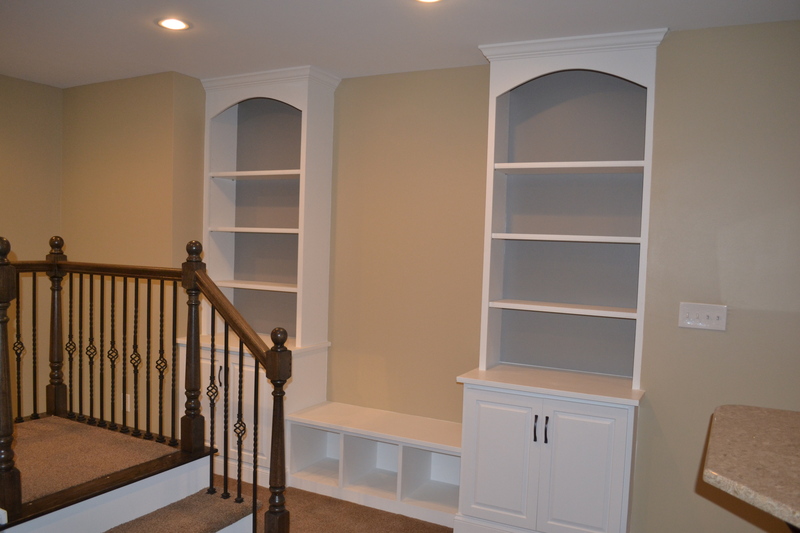 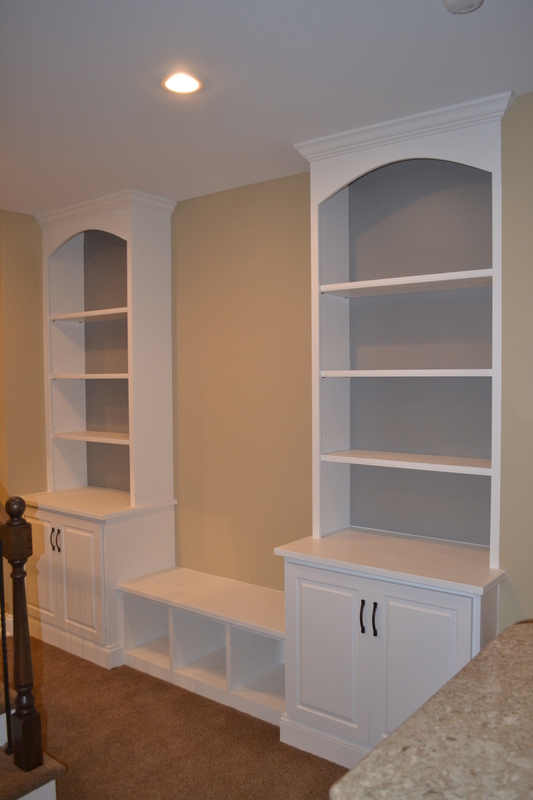 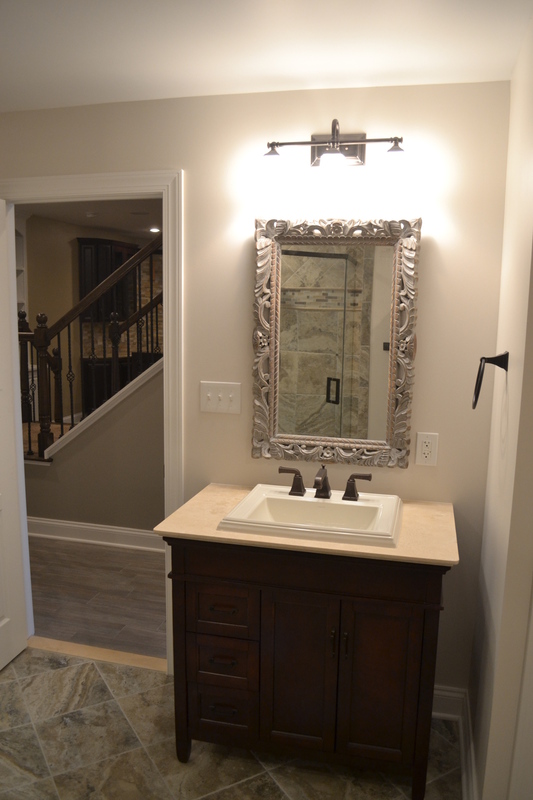 Custom built-ins and a wrought iron banister add elegance to the space. 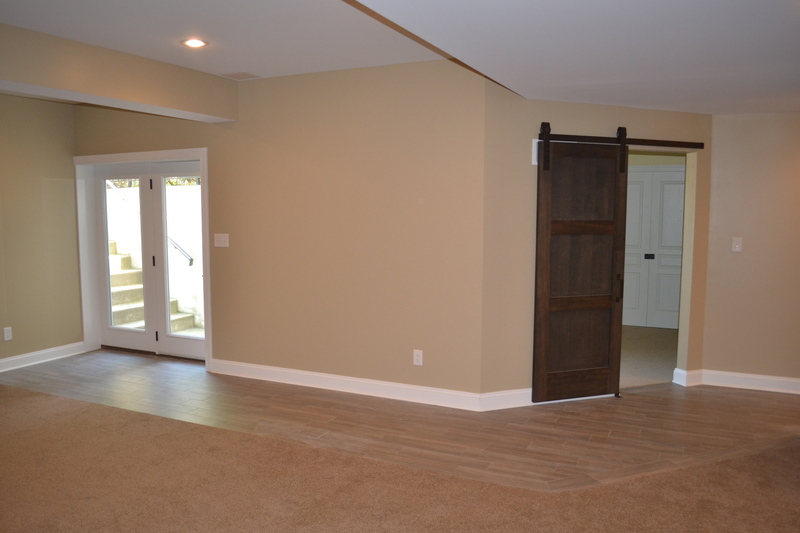 Double doors provide an exit to the back yard. 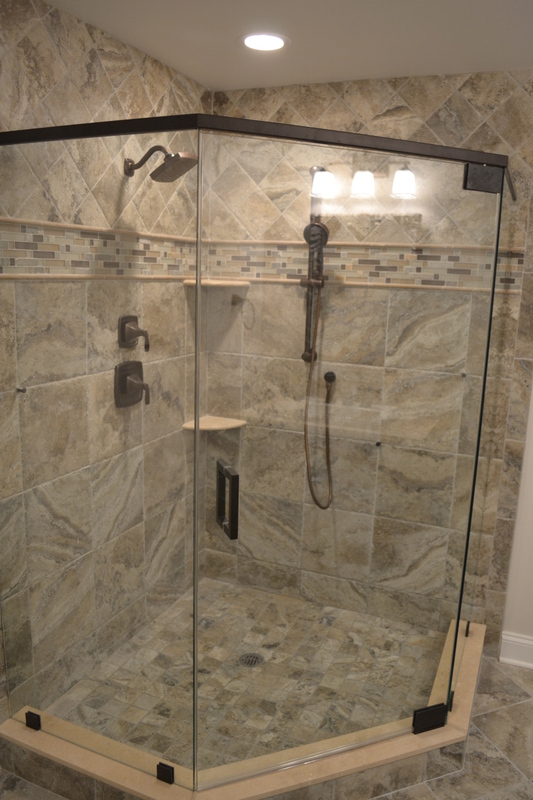 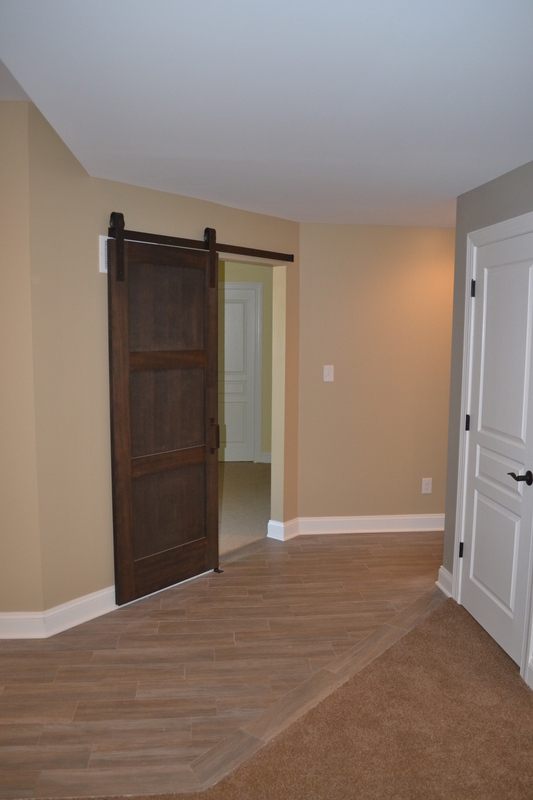 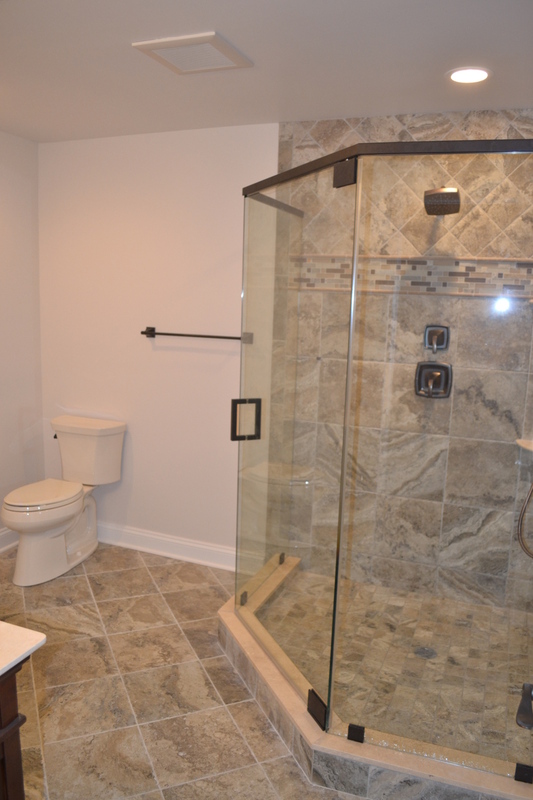 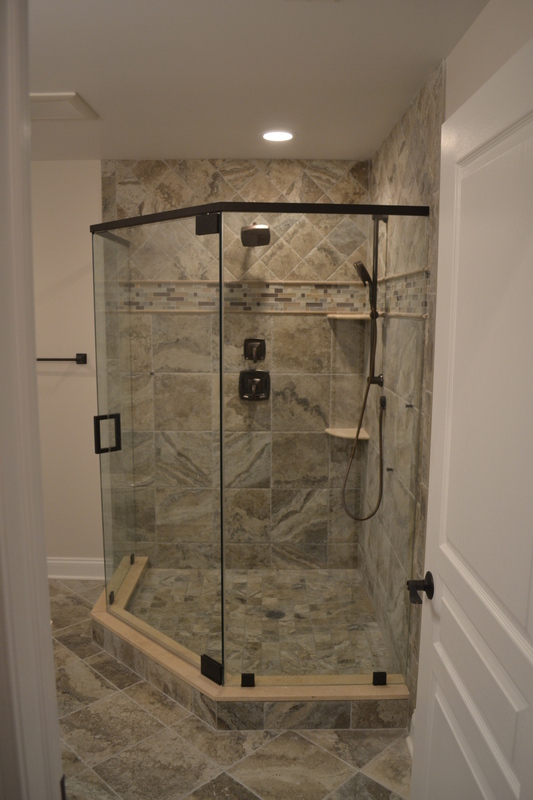 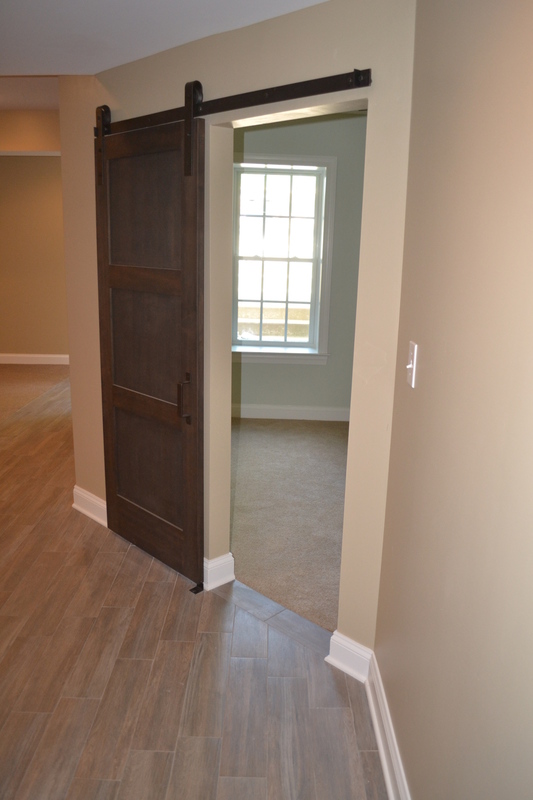 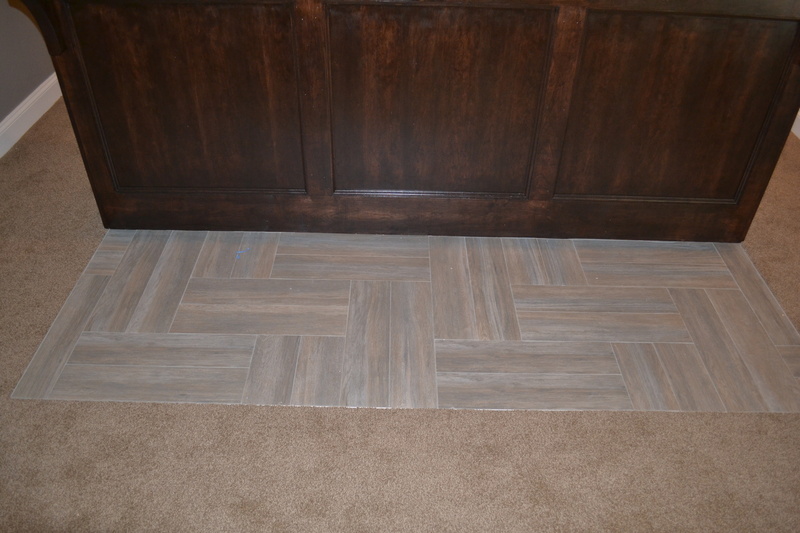 A sliding barn door sets off the guest bedroom, and the guest bath features beautiful tile work and a rain shower head.